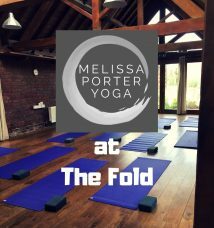 The Fold is the home of the Bristol College of Massage and Bodywork in Worcestershire. BCMB has grown with the Fold over the last 10 years bringing the high quality of massage training available in Bristol since 1986 to our local area and building a strong local massage community. Find more detail on our College Website or on Facebook. We offer annually starting February each year the Professional level 4 Diploma in Holistic Massage, Anatomy, Physiology and Pathology accredited by the Massage Training Institute. Creative, comprehensive, fluent and dynamic, this qualification will give you all the skills and experience needed to start practising massage professionally. We offer courses for qualified practitioners to enhance their professional development covering a wide range of topics including Deep Tissue Massage, Hot Stones and Emotional Processing. We also offer Massage Practice Days for those with any experience of massage. Annually we offer an accredited level 3 training in Indian Head Massage – a wonderful and surprising therapy.